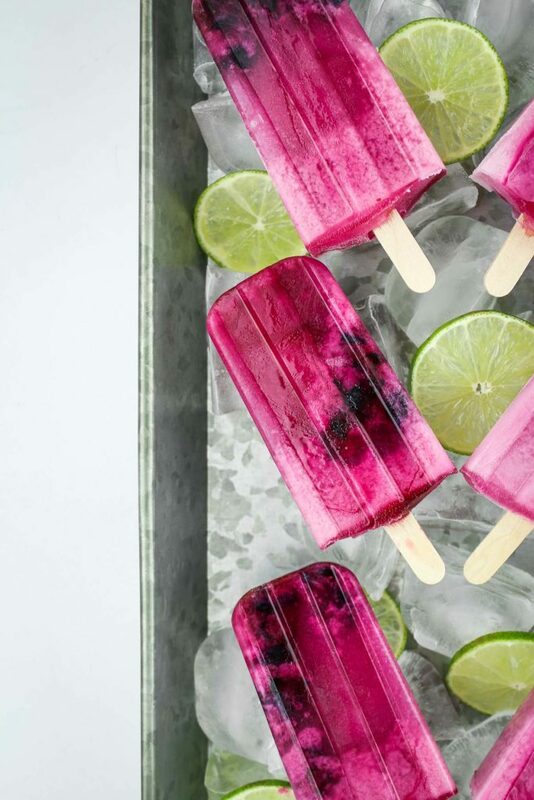 These Blueberry Coconut Lime Popsicles are the perfect easy-to-make summer treat! They’re made with real fruit, fresh lime juice, and have no artificial sweeteners — a great, better-for-you snack option! This post has been sponsored by Bai®. All thoughts and opinions are my own. Apparently popsicle week was sometime in June, so I’m a little late to this party. But if you ask me, popsicle week should be a recurring thing all summer long. Can we vote that into existence, please? Either way, I’m not gonna quit with these Blueberry Coconut Lime Popsicles until we stop having 90-degree days. Which I hope doesn’t happen anytime soon. Speaking of hot summer days, we have 2 brand new obsessions in this household: these popsicles and Bai. What’s Bai, you ask? 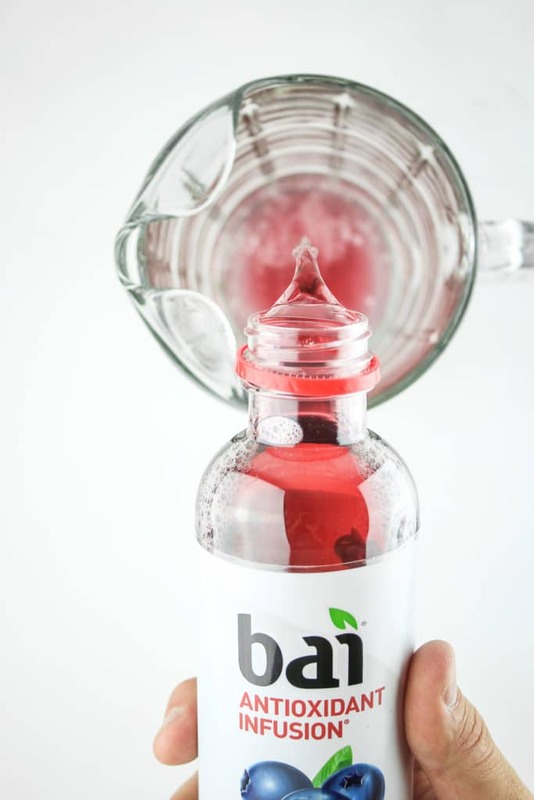 Bai is a delicious, antioxidant-infused beverage. 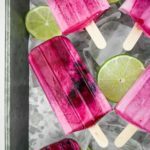 It adds a nice zing of flavor to these popsicles AND has natural flavors with no artificial sweeteners. 1g of sugar and only 5 calories per serving? Yes please! We picked out a couple of flavors at Kroger on a whim and we’re hooked now. After Clark gets back from a bike ride? Bai. After I come in from watering flowers? Bai. 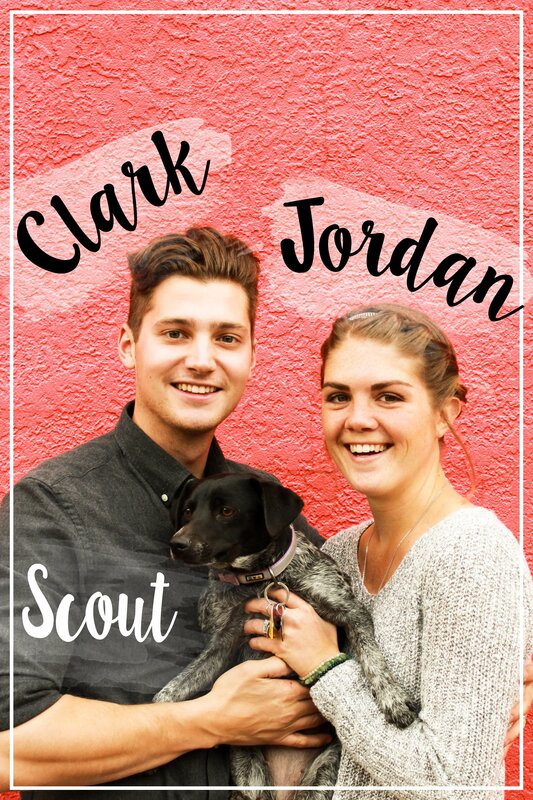 After walking Scout? Bai. Making a smoothie? Bai. Making popsicles? Bai. I think you get the idea. While we’re on the topic of things that are easy, I have to share another obsession/awesome life hack with you real quick. SHOPPABLE recipes from Myxx. Have you ever heard of this? Am I late to the party? It’s like a meal delivery service except better because YOU get to choose what to make. You pick a recipe, add the recipe ingredients to your cart, and send it to Kroger Clicklist. The magical Kroger genies will then do all your shopping for you, all you have to do is pick it up.  What a time to be alive! 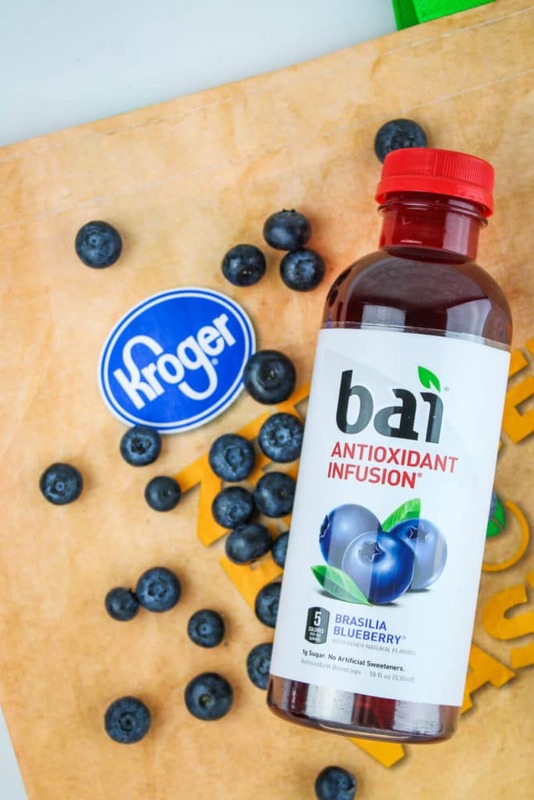 So if you’re looking for more recipes (and excuses to purchase) using Bai, head *HERE* to check out more Kroger shoppable recipes! 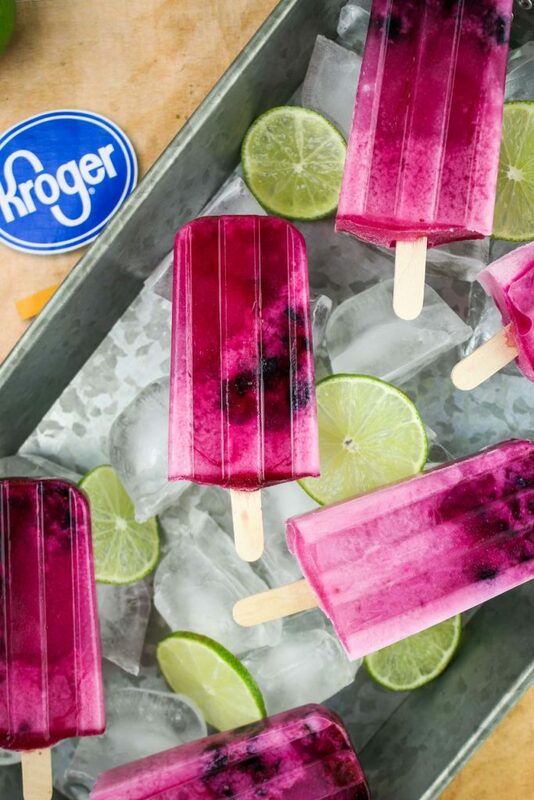 When you make these Blueberry Coconut Lime Popsicles, snap a picture for the ‘gram—I wanna share your creations on our stories! 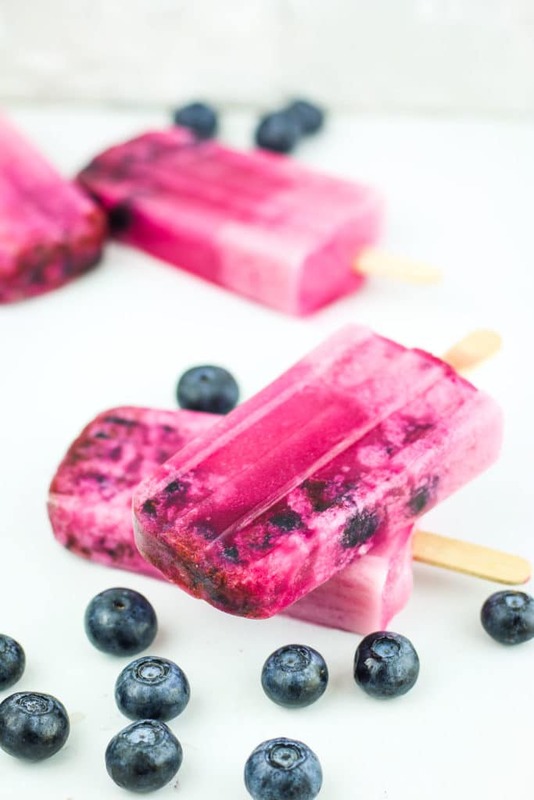 These Blueberry Coconut Lime Popsicles are the perfect easy-to-make summer treat! They’re made with real fruit and naturally sweetened – a great healthy snack option! In a large pitcher, combine Bai Brasilia Blueberry, coconut milk, and lime juice. Stir until well-combined. 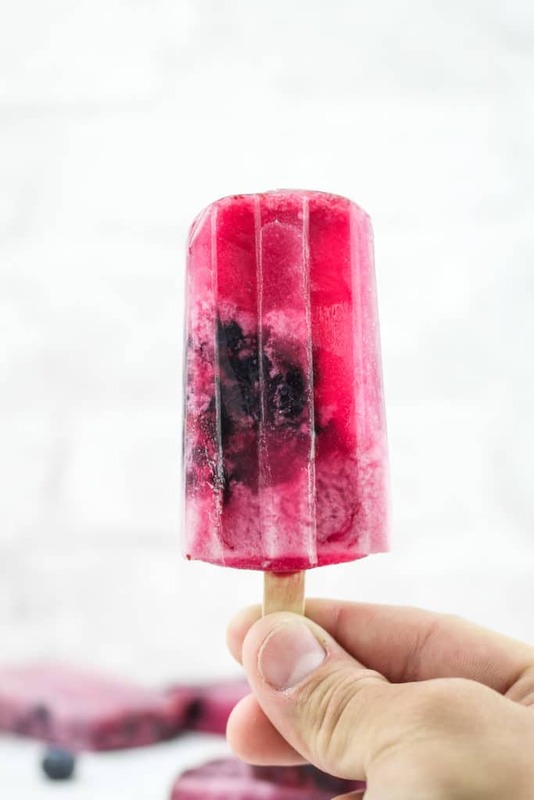 Smash blueberries and spoon a small amount into each popsicle mold. 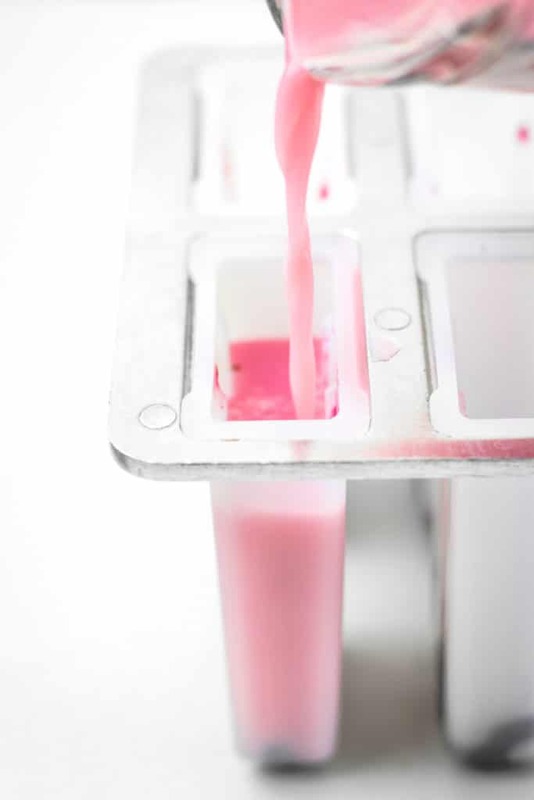 Pour liquid mixture into the molds and insert sticks. Freeze at least 4 hours, preferably overnight! I’m a dedicated Bai drinker. However, they are rather expensive. Anywhere from 1.50 to 2.00 here. I find the best deal is Sam’s Club so I ration them out a lot. This receipe let’s me get a bigger bang for my buck. Thank you. Good thinking! I always try to catch them on sale, too! I love Bai and what a great idea to use them in popsicles. I would definitely try this! It’s so hot here right now. I could just enjoy a couple of these popsicles. Must try! 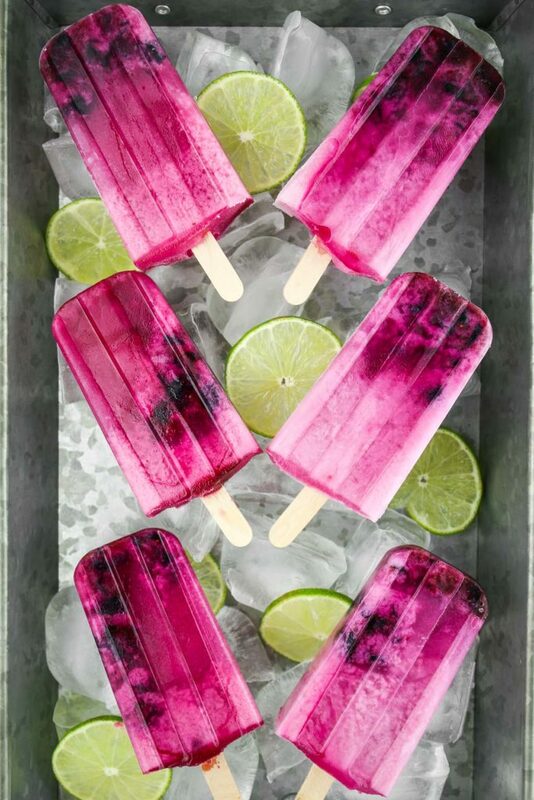 These popsicles look so tasty and refreshing! Perfect summer treat and I love that they have fresh fruit in them! This even LOOK healthy. Love the flavour combination….and I know that my grandkids would devour these. I will have to make some for next “sleepover”. Your grandkids will love these! Yay! Another flavor to add in our popsicle recipes. We never tried the blueberry flavor yet, so excited to try this one. Thanks for sharing this recipe. I think I could eat popsicles every day this time of year! It’s never too early or too late for popsicles. 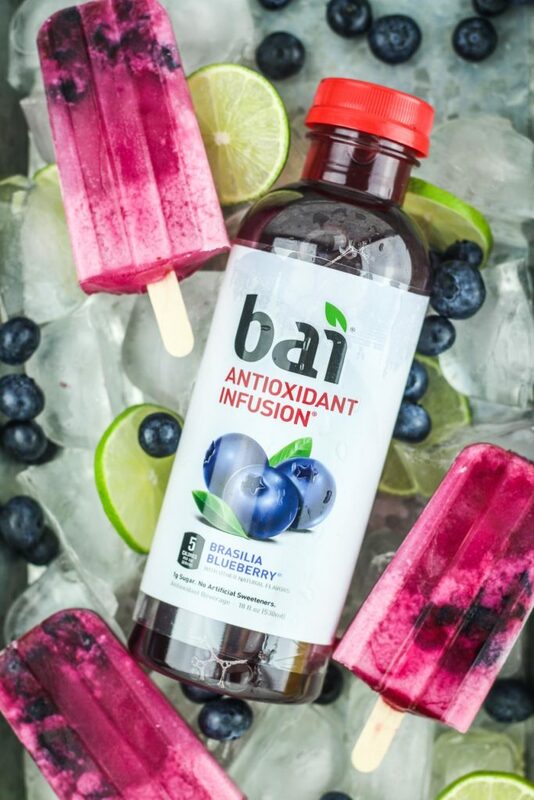 In fact, summer starts late so now is the perfect time for popsicles, especially when it has Bai in it. Love the flavor and the color looks amazing! Agreed! Popsicles allllll year round! Wow, it’s easy to make. That looks so refreshing and perfect for hot summer days! It has been SOOOOO hot here. Homemade frozen treats are the best. Love the flavour combination here. I know that my grandkids would devour these….and me too!! Love all Bai flavours! These look really yummy what a great idea! These are so pretty! This would be perfect here in Texas on a hot summer day. The photos here are great! Looking so fresh and delicious. Do you think I could substitute coconut milk with coconut water? Thanks! Yummy ice popsicles! And then suing Bai that is one of my favorite drinks. I need to make a batch of this ice pops this weekend I know my family would appreciate this treat. It is super hot in FL. Isn’t Bai great? I hope you enjoy!